This years day takes place on Sunday 7th April from 9am. If you can bring a brush or even better a blower to help get the track ready for the coming season. Shovels to cut back the grass at the bottom of the track would be useful. The group who attend will be spilt in to a group for the track and another who will check and service the bikes. Hopefully see you down there to get everything ready for the new season. The 2019 season gets underway on the 29th April with the calendar updted with all the training and racing dates inserted. Monday training sessions riders are requested to get there to sign on at 6pm with Tuesday sessions the session starting at 6.30pm with the warm up. Track League starts on the 2nd May with a full program starting at 6.10pm with the Freewheelers League. The final Trophy to be prsented was the Morris/Robinson Trophy which is prsented to someone who has done something meritous for the league. This year it went to League sponsor Tony Brooks who has supported the league for 10 years and his invaluable support has been vital in the success of the League. Many Thanks to everyone who have rode and supported the league this year and we look forward to a successful 2019 season. the Track League starts on the 2nd May 2019 with 19 events planned throughout the season. There is also the national Round of the Youth Omnium on the 11th May which this year includes the National Tandem Championshipsand also the national Sprinters League Event which takes place on saturday 16th June 2019. Finally thanks to all the oficials who without them there would no league. Your help is graetly appeciated . Can all trophy winners from 2017 please return their trophies by bringing them to a league night befoer the end of the season. The Track League Report for the 30th August 2018 and the updated League Tables are now on the site. This years maintenance day takes place on Sunday 8th April 2018 from 9am. Please do your best to come down and help out. We will be splitting the helpers in to one group to check all the hire bikes and another who will be sweeping and brushing the track. Please bring with you a good brush or even better a blower. Last year we had a good turnout and did all the jobs quickly so the more that turn up the quicker we get done and the track will be in a best possible tate for the start of the coming season. This years Prize Presentation took place at St Mary's C of E Primary School, Tunstall last night. A really good turnout congratulated all the Prize winners in each category. There was a special award handed out to Nesta and Mick Stubbs for their outstanding long service to the Association. Nesta and Mick started out helping at the track in the early 1990's and they have never missed a track league since that time which is an amazing achievement and we doubt this will never be equalled again. They will be sadly missed each thursday helping out however Mick has promised to come down and race the league when he can. League Chairman Phil Houlton presented them with a special trophy that they can keep and also they were awarded the Morris Robinson Trophy. This is the fitrst time this trophy has been awarded to the same people twice whoever we felt their committment to the track was worthy of this award going to them again. THANK YOU MICK AND NESTA. The Calendar for the 2018 season will appear on the site in March next year. Accreditation cards will be given out by coaches Duncan Mould, Paul Sherratt, Ian Jackson, Jason Bailey, Alison Thomas, Sallie Birchall, Alex Webb and Vikki Ferguson and must be handed in to either Sue Robinson or Heather Houlton when they sign on for the league. This is for safety reasons. No accreditation no ride. We now have a twitter site to keep you fully updated on events down at the track. We will be tweeting any changes to sessions throughout the spring and summer along with weather updates so add @nc_trackleague to your phone :) Also spread the word please. Thanks to Phil Braybrooke for setting this up. please try and arrive just after 6pm to sign on and get a bike if required. 6.30 PROMPT START........ Riders in Group 1 go on to the track. 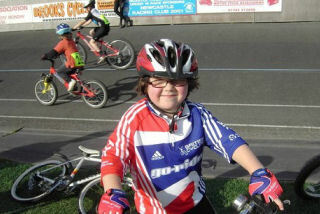 This group are riders who are complete beginners and for under 12's. This group will usually be run by Rhian Putt. Riders need to be at the track in enough time to sign on and get a bike if appropriate so be there in good time to get on the track at the 6.00pm start time. The emphasis of this session is to learn how to ride a track bike and to obtain the basic skills. This is not a hard training session. 6.30pm PROMPT START............ Riders in Group 2 to to the track. This group is for U18's and beginners/improvers . This group will; be coach led by Phil Houlton. Riders to arrive in good time to sign on and get a bike if appropriate. The bike sizing can take time so suggest you turn up around 6.00pm to allow enough time for this to take place so you are ready to go on to the track at 6.30pm. This session is designed to improve riders skills but is not a tough training session. Once riders are deemed to be ready they will be progressed to the Tuesday session. Riders who compete in the Track League in either Group A or B will not be allowed to ride this session and directed to Tuesday. This session is for more experienced riders of any age. The session starts at 6.30pm with the warm up. After the warm up the groups are split in to Sprint and Endurance. The lead coaches for this night are Steve Cronshaw, Chris Pyatt and Dave Latham . Prices for the session are as for Monday. From the 3rd May this is track league night. The Freewheelers league starts at 6.10pm. Riders please arrive from 5.45pm to sign on. This league is open to riders who have competed before and riders who attended the Friday sessions to be accredited to attend the league. The minium age for the league is 6 years old. Freewheelers riders ride their own bike which must be in a good working order. They must wear a helmet and approriate clothing for the session. Cost of the league is £2 per rider. The riders are split in to 3 leagues with overall prizes at the end of the season being awarded. On the final Thursday of each month there is a Go Ride Race Night with individual prizes for these nights being awarded at the end of that night. The cost of this night is £3. You do not have to be in a club to race in this league. The Main league starts at 7.20pm and is for fixed wheel bikes only. Riders must have a British Cycling licence or can pay for a day licence ( this can be expensive though). You do not have to register or be part of an affiliated club to ride however we do encourge riders to get their clubs to affiliate to the Association ( just £35 a season) or they can affiliate individually for £5. This gives discounts on race entry fee. This is the Freewheelers night and for U16's. Riders to turn up at 6.15pm. The inital sessions will be run on the grassed area outside the tracks gates to get the skills of the riders to the correct standard to ride the track. As stated above new riders under 10 years of age must go through this session before they can ride the league. Lead coach on this day is Steve Hall. Cost of the session is £2. Riders to bring their own bikes and to wear suitable clothing and a helmet. There maybe times when sesions will need to be cancelled due to football matches taking place. Please keep an eye on the Facebook and Twitter pages for these cancellations. AND if it is wet there will be no session. If you have any questions please contact Chris Pyatt on chris.pyatt@icloud.com . The Association would like to thank the leagues sponsors this year for all their support. These are Brooks Cycles who sponsors the name of the league and so a specail thank you to Tony Brooks. To Lyme RC for their sposnsorship of the Freewheelers League. 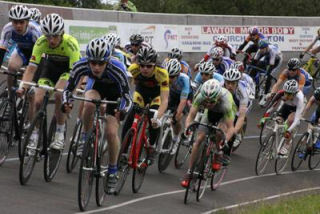 To Mike Perry of 1st Contact Physio for his sponsorship of the Youth Omnium Meeting in May. Without ther kind sponsorship the league would not be as successful as it is. Following a request from the Football Club who manage the stadium, please can all riders and spectators please note that the Stadium has a strict no dogs policy. We would that you please observe this request. Sport Massage available from Emma Venables with further information available at www.premiersportsmassage.com. Please quote that you have seen the advert on our website when booking.